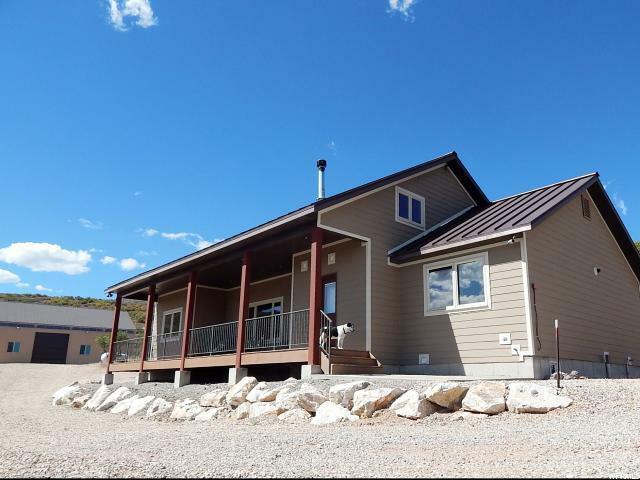 Perfect home, second home or cabin retreat! Just a short drive from the highway on a maintained gravel road. A country retreat, a cowboy's dream, this ranch is a high desert paradise. 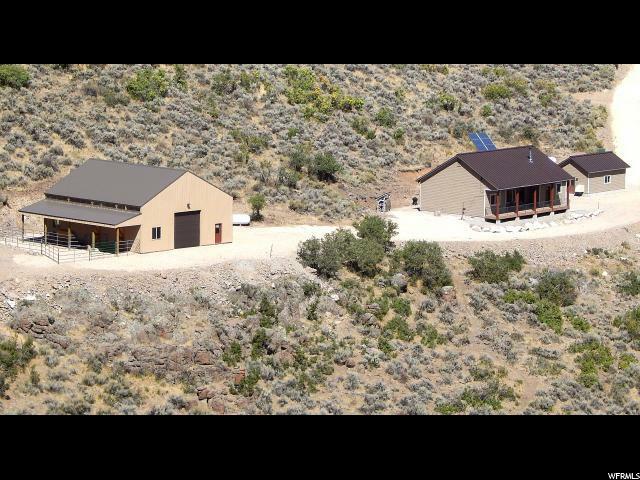 Horse property located in the sage & scrub oak covered hills west of the Kamas Valley and the Uinta mountains, offering spectacular views. Year round access!!! Neighbor uses a plowing service, or tractor, you have many options. This 40 acre ranch features a beautiful, single family home filled with sunlight and inviting spaces. 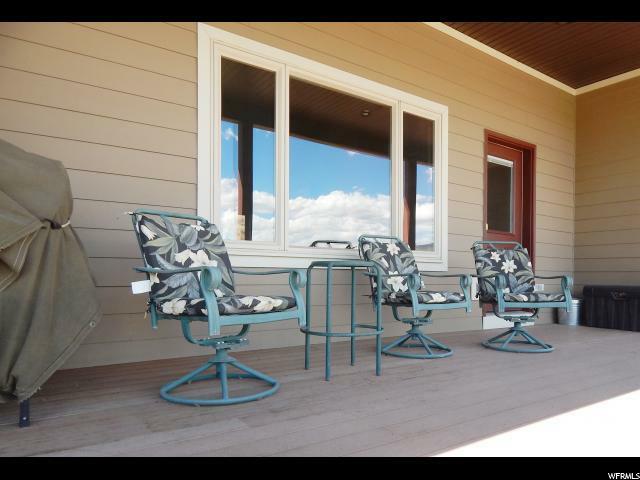 Relax on the front porch and watch the wildlife wander your land. The property is great for dogs, horses, livestock, ATV's and snowmobiles! The home features 1843 sq ft of living space with great attention to detail and a high quality build. The interior space is open concept, with a spacious kitchen, dining and living area. The main floor offers three bedrooms, two baths, and a home office/den. A large loft is another bedroom. Mudroom includes a washer & dryer. Spacious, detached extra length one car garage. NEW, spectacular 1920 sq ft. barn with cement floors w/ drains. Barn has furnace, power, water and workroom. Horse ready or can be used to store all your toys! There is wonderful pasture on the property w/ an electric fence. Fully furnished & ready to go! A true turn-key gem. Septic, Well and TWO 1000 gallon propane tanks. 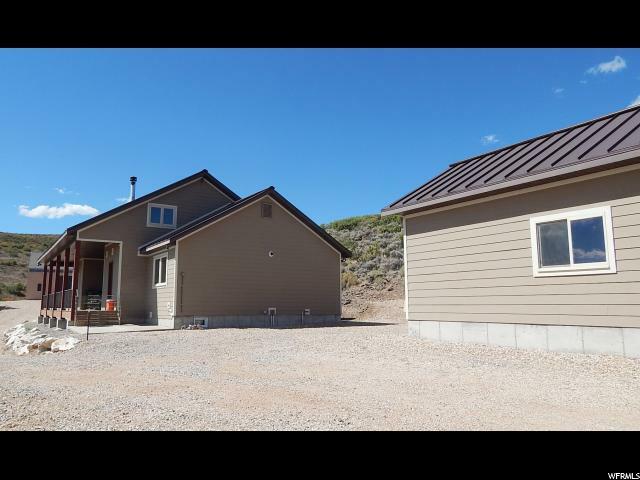 Rocky Mountain Power is connected, but if desired this home can be 100% OFF GRID!!! Amazing Solar power system AND propane generator in the garage. Wood burning stove in living room heats the entire house! Chimney cleaned yearly. Protection1 burglar and fire alarm system in house and barn plus a house sprinkler fire suppression system with 500 gallon tank. WiFi ready thermostat. Gated driveway. Wired for cable, ethernet and surround sound. Buried empty cable conduit from home to gate. Gas oven/stove. Also 20 wired for oven/stove, dryer and in garage. Septic pumped last year. Attic space in house and garage. Also a 5 foot high crawl space under the house for more storage and easy access to mechanicals & wiring. Fantastic Trex front porch and cement board siding. Only minutes to world class amenities in Park City yet a world away from the hustle and bustle of city life. The Uinta National Forest is right next door! Just minutes from shopping, schools and the South Summit Aquatic and Fitness Center. You will love coming home! Easily convert office/den into another bedroom or a master bath! Also... Ski off the ridge in the winter! Time lapse photo credit Cody Mitchell. Listing provided courtesy of Stonebrook Real Estate. Information deemed reliable but not guaranteed accurate. Buyer to verify all information. © 2019 Wasatch Front Regional Multiple Listing Service, Inc., All Rights Reserved.